Communist Leon Trotsky helped ignite the Russian Revolution of 1917, and built the Red Army afterward. He was exiled and later assassinated by Soviet agents. Born Lev Davidovich Bronshtein on November 7, 1879, Leon Trotsky&apos;s revolutionary activity as a young man spurred his first of several ordered exiles to Siberia. He waged Russia&apos;s 1917 revolution alongside Vladimir Lenin. As commissar of war in the new Soviet government, he helped defeat forces opposed to Bolshevik control. As the Soviet government developed, he engaged in a power struggle against Joseph Stalin, which he lost, leading to his exile again and, eventually, his murder. Leon Trotsky was born Lev Davidovich Bronstein in Yanovka, Ukraine—in the Russian Empire—on November 7, 1879. His parents, David and Anna Bronstein, were prosperous Jewish farmers. When he was 8 years old, Trotksy went to school in Odessa, then moved in 1896 to Nikolayev, Ukraine, for his final year in school. While there, he became enthralled with Marxism. In 1897, Trotsky helped found the South Russian Workers&apos; Union. He was arrested within a year and spent two years in prison before being tried, convicted and sent to Siberia for a four-year sentence. While in prison, he met and married Alexandra Lvovna, a co- revolutionary who had also been sentenced to Siberia. While there, they had two daughters. In 1902, after serving only two years of his sentence, Leon Trotsky escaped exile, abandoning his wife and daughters. On forged papers, he changed his name to Leon Trotsky, a moniker he would use the rest of his life. He managed to make his way to London, England, where he joined the Socialist Democratic Party and met Vladimir Lenin. In 1903, Leon Trotsky married his second wife, Natalia Ivanovna. The couple had two sons. During the early years of the Social Democratic Party, there were often disputes among the party&apos;s leadership over its form and strategy. Vladimir Lenin argued for a small party of professional revolutionaries who would lead a large contingent of non-party supporters. Julius Martov advocated for a larger, more democratic organization of supporters. Leon Trotsky tried to reconcile the two factions, resulting in numerous clashes with both groups&apos; leaders. 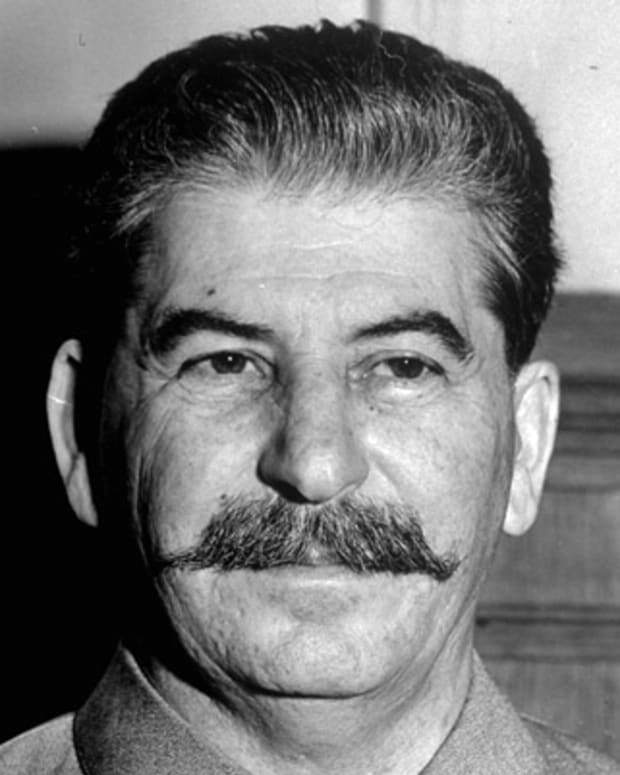 Many of the Social Democrats, including the ambitious Joseph Stalin, sided with Lenin. Trotsky&apos;s neutrality was seen as disloyal. On January 22, 1905, unarmed demonstrators marching against the Russian Tsar were killed by the Imperial Guard. When word reached Leon Trotsky, he returned to Russia to support the uprisings. 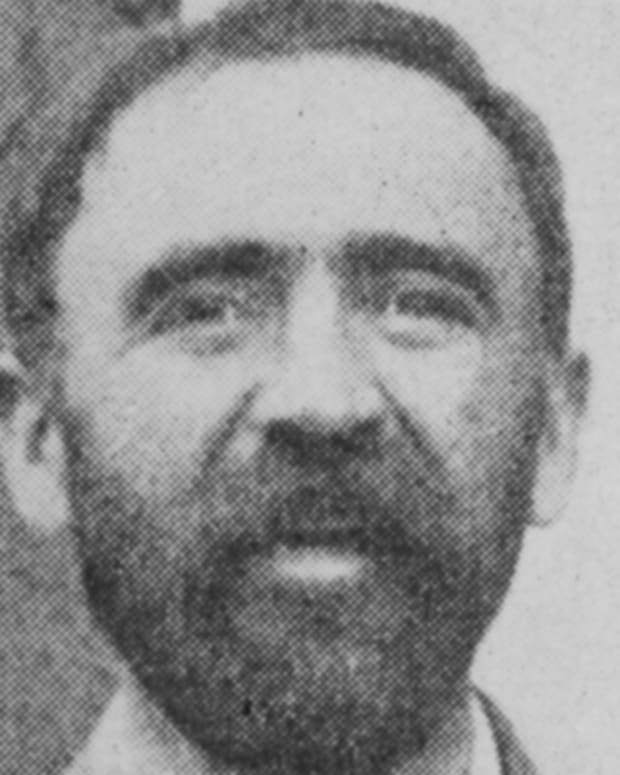 By the end of 1905, he had become a leader of the movement. In December, the rebellion was crushed, and Trotsky was arrested and once again sent to Siberia. At his trial, he put on a spirited defense and increased his popularity among the party&apos;s elite. In January 1907, Trotsky escaped prison and traveled to Europe, where he spent 10 years in exile in various cities, including Vienna, Zurich, Paris and New York, spending much of the time writing for Russian revolutionary journals, including Pravda, and advocating an anti-war policy. After the overthrow of Russian Tsar Nicholas II, in February 1917, Trotsky set out for Russia from New York. However, Okhrana (the Tsar&apos;s secret police) persuaded British authorities to have him detained at Halifax, Canada. He was held there for a month, before the Russian provisional government demanded his release. After he arrived in Russia in May 1917, he quickly addressed some of the problems forming in post-revolutionary Russia. He disapproved of the provisional government because he felt it was ineffectual. The new prime minister, Alexander Kerensky, saw Trotsky as a major threat and had him arrested. While in jail, Trotsky was admitted to the Bolshevik Party and released soon after. He was elected chairman of the Petrograd Soviet, a strong hold of dissent against the provisional government. In November 1917, the provisional government was overthrown and the Soviet Council of People&apos;s Commissars was formed, with Vladimir Lenin elected chairman. Leon Trotsky’s first role in the new government was serving as commissar for foreign affairs and making peace with the Germans. Talks began in January 1918, and Germany had a long list of demands for territory and reparations. Trotsky wanted to wait out the German government, in hopes that it would be defeated by the Allies or suffer internal insurrection. However, Lenin felt that peace with Germany needed to be made so they could concentrate on building a communist government in Russia. Trotsky disagreed and resigned from this post. After the Bolsheviks took control of the Soviet government, Lenin ordered the formation of the Red Army and appointed Leon Trotsky its leader. The army&apos;s first orders were to neutralize the White Army (Socialist revolutionaries opposed to Bolshevik control) during the Russian Civil War. Trotsky proved to be an outstanding military leader, as he led the army of 3 million to victory. The task was difficult, as Trotsky directed a war effort that was at times on 16 different fronts. It also didn&apos;t help that some members of the Soviet leadership, including Lenin, became involved in military strategy, redirecting the Red Army&apos;s efforts and countermanding some of Trotsky&apos;s orders. In late 1920, the Bolsheviks finally won the Civil War, ensuring Bolshevik control of the Soviet government. After the White Army surrendered, Trotsky was elected a member of the Communist Party central committee. He was clearly positioned as the Soviet Union&apos;s number-two man, next to Lenin. During the winter of 1920-21, as the Soviet government moved from war to peace-time operations, an increasingly acrimonious debate grew over the role of trade unions. Believing that the workers should have nothing to fear from the government, Leon Trotsky advocated the state control the trade unions. He reasoned that this would give officials a tighter control over labor and facilitate a greater integration between government and the proletariat. Lenin criticized Trotsky, accusing him of harassing the unions and abandoning his support for the proletariat. A breach between the two developed and other officials, including Joseph Stalin, took advantage, siding with Lenin to gain favor. As Trotsky dug in and refused to modify his position, the dissention grew and Lenin feared the conflict would splinter the party. At a meeting at the Tenth Party Congress in March 1921, the issue came to a head when several of Trotsky&apos;s supporters were replaced by Lenin&apos;s lieutenants. 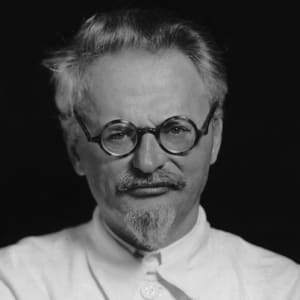 Trotsky finally dropped his opposition and, to show his allegiance to Lenin, ordered the suppression of the Kronstadt Rebellion (an uprising of sailors and longshoremen protesting heavy-handed Bolshevik tactics). But the damage was done, and Trotsky had lost much of his political influence over the dispute. 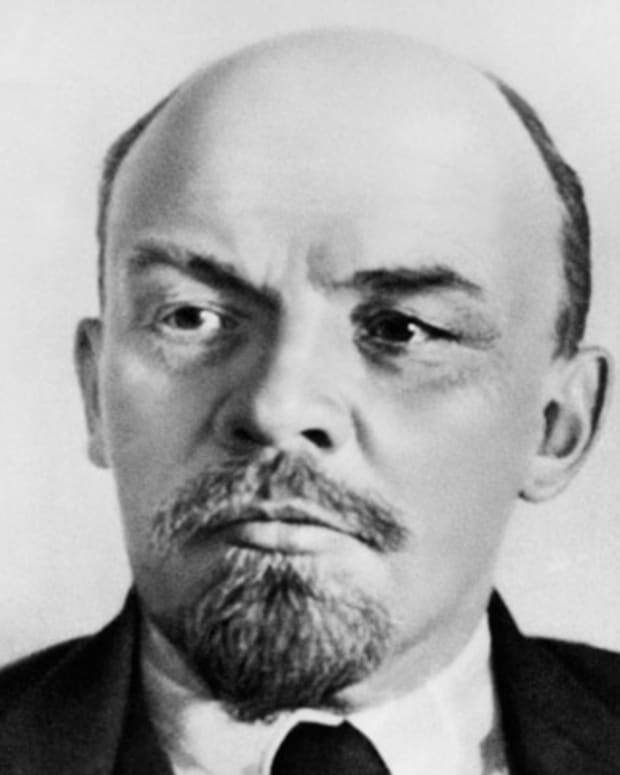 By 1922, the pressures of revolution and injuries from an earlier assassination attempt had taken their toll on Vladimir Lenin. In May, he suffered his first stroke and questions arose over who would succeed him. Leon Trotsky had a stellar record as a military leader and administrator and seemed the obvious choice among the rank and file membership of the Communist Party. But he had offended many in the Politburo (the Communist Party&apos;s executive committee), and a group of Politburo members, led by Joseph Stalin, joined forces to oppose him. The previous month, Lenin had appointed Stalin to the new post of Central Committee General Secretary. Though not a significant post at the time, it gave Stalin control over all party-member appointments. He quickly consolidated his power and started lining up allies against Trotsky. Between 1922 and 1924, Vladimir Lenin tried to counter some of Stalin&apos;s influence and support Trotsky on several occasions. However, a third stroke virtually silenced Lenin and Stalin was free to completely push Trotsky out of power. Lenin died on January 21, 1924, and Trotsky was isolated and alone, outmaneuvered by Stalin. From that point on, Trotsky was steadily pushed out of important roles on Soviet government and, eventually, pushed out of the country. Between 1925 and 1928, Trotsky was gradually pushed from power and influence by Stalin and his allies, who discredited Trotsky&apos;s role in the Russian Revolution and his military record. In October 1927, Trotsky was expelled from the Central Committee and exiled the following January to the very remote Alma-Ata, located in present-day Kazakhstan. Apparently, that was not far enough for Stalin, so in February, 1929, Trotsky was banished entirely from the Soviet Union. Over the next seven years, he lived in Turkey, France and Norway, before arriving in Mexico City. Trotsky continued to write and criticize Joseph Stalin and the Soviet government. During the 1930s, Stalin conducted political purges and named Trotsky, in absentia, a major conspirator and enemy of the people. In August 1936, 16 of Trotsky&apos;s allies were charged with aiding Trotsky in treason. All 16 were found guilty and executed. Stalin then set out to assassinate Trotsky. In 1937, Trotsky moved to Mexico, eventually settling in Mexico City, where he continued to criticize Soviet leadership. In the early months of 1940, Leon Trotsky&apos;s health was failing and he knew he was a marked man. In February, he wrote a testament expressing his final thoughts for posterity and forcibly denied Stalin&apos;s accusations. On August 20, 1940, Trotsky was sitting at his desk in his study in Mexico City. Ramon Mercader, an undercover agent for the Soviet Union&apos;s secret police, attacked Trotsky with a mountaineering ice ax, puncturing his skull. 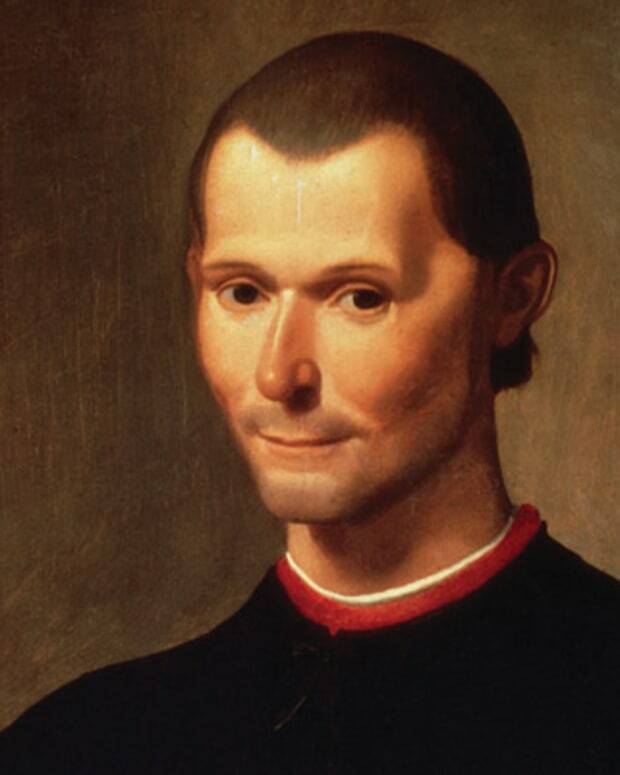 He was taken to the hospital, but died a day later, at the age of 60. For decades, Leon Trotsky was discredited in the Soviet Union, the result of Stalin&apos;s hatred and his totalitarian control. However, 10 years after the collapse of the Soviet government, in 2001, Trotsky&apos;s reputation was officially "rehabilitated" by the Russian government. His legacy of being the most brilliant intellect of the Communist Revolution and his reputation as a tireless worker, rousing public speaker and decisive administrator was restored. Some historians believe if he had not subordinated himself to Lenin during the Bolshevik Revolution, the history of the Soviet Union might have been very different. However, Trotsky had allowed his intelligence and arrogance to antagonize those less able than himself, and in the end, alienated many around him, allowing deceitful men like Stalin to take advantage. Francisco Madero was a reformist politician who successfully removed dictator Porfirio Diaz from office in Mexico. He became president in 1911, but was assassinated two years later. 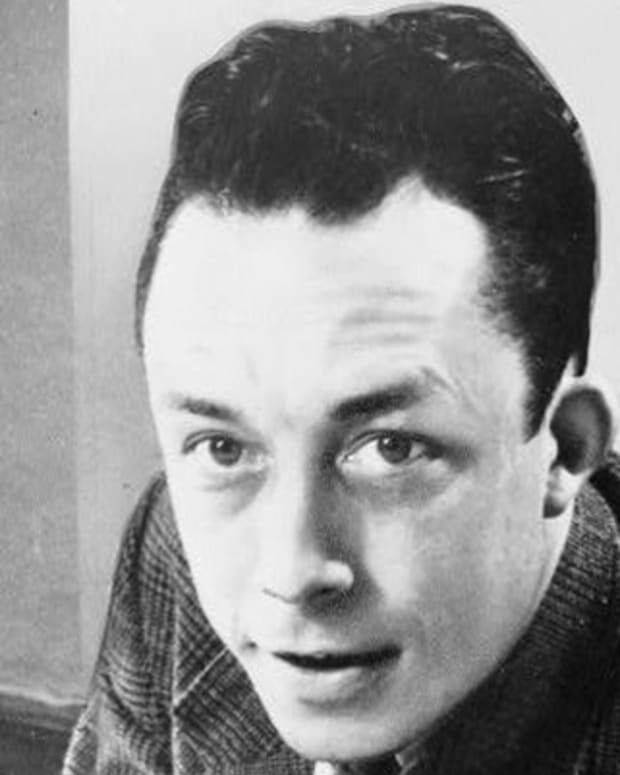 Albert Camus was a French-Algerian writer best known for his absurdist works, including The Stranger (1942) and The Plague (1947). He won the Nobel Prize for Literature in 1957. 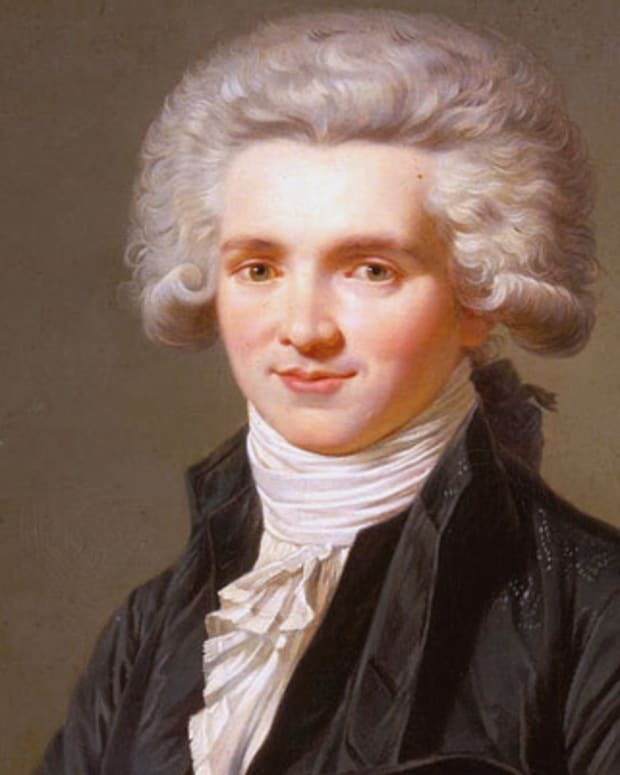 Maximilien de Robespierre was an official during the French Revolution and one of the principal architects of the Reign of Terror. 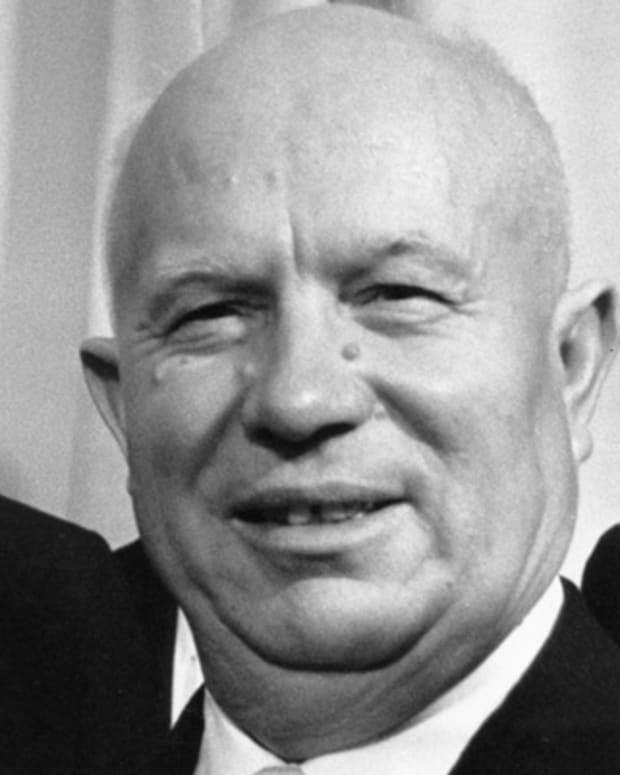 Soviet leader Nikita Khrushchev publicized Stalin's crimes, was a major player in the Cuban Missile Crisis and established a more open form of Communism in the USSR. 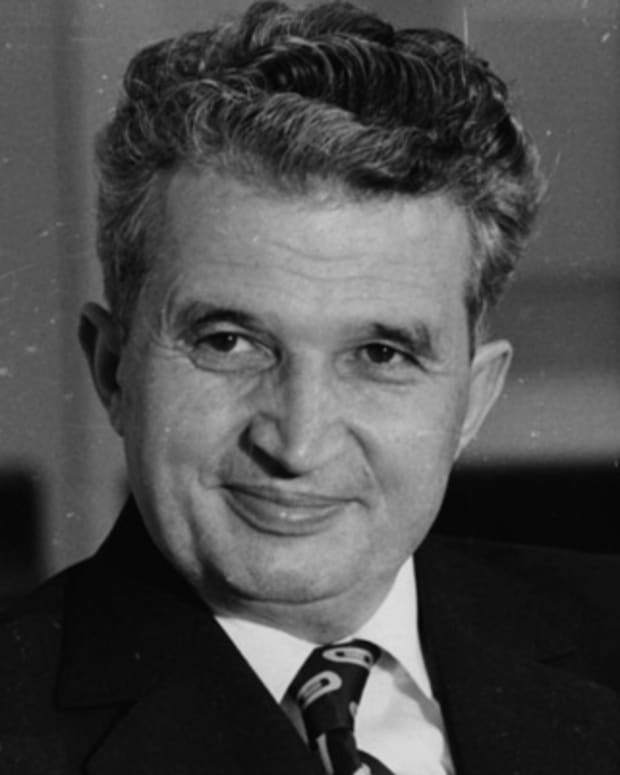 Nicolae Ceausescu was the leader of Communist Romania for more than two decades until his execution in 1989. 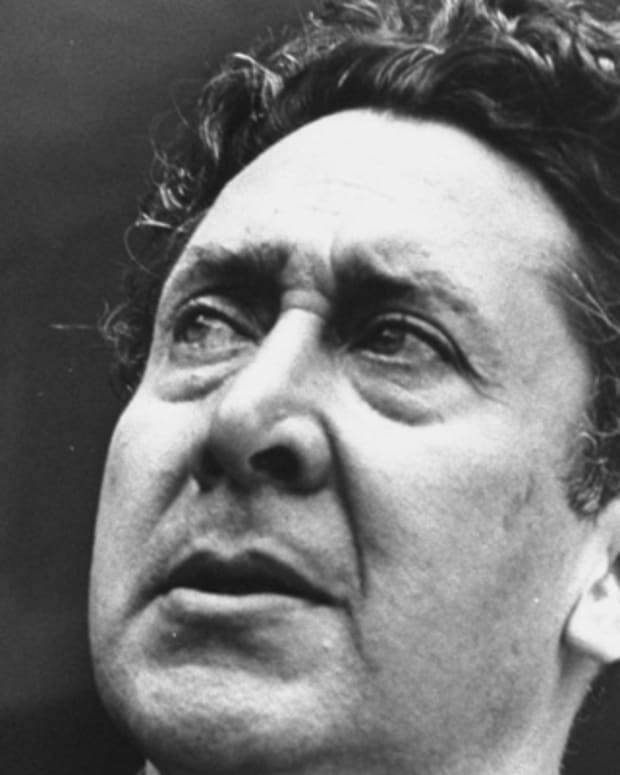 David Alfaro Siqueiros was a Mexican painter and muralist whose work reflected his Marxist ideology.